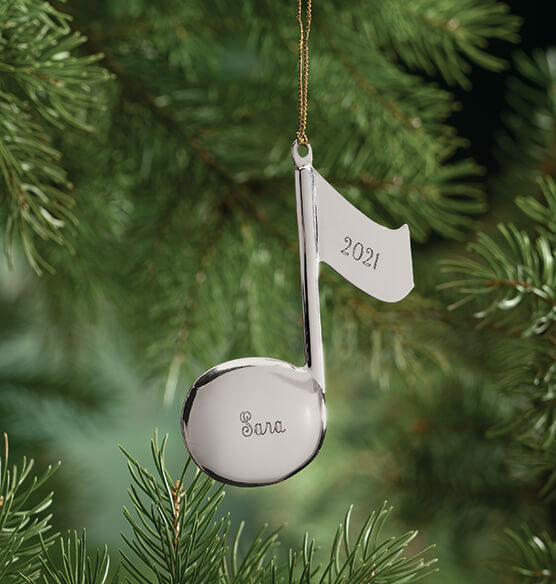 Shiny, silver-tone music note Christmas ornament will be beauti-fully personalized, for a gift in tune with one special music lover! Specify name; limit 1 line, 10 letters/spaces. Specify year; limit 4 characters. Silver-tone metal. Music note ornament is 3" long x 2 1/2" wide.